About us - Đèn sân vườn, đèn âm nước, hệ thống điều khiển ánh sáng. As one of the FX Luminaire (Hunter Industries) Distributors of Garden LED Lights for the landscape, Viet Garden has successfully provided consulting, distribution and design services for dealers and contractors in Vietnam, Laos and Cambodia. We provide specialist support and training for the professional contractors to ensure the job is done right the first time! Located in Ho Chi Minh City, Viet Garden is available to provide professional, friendly advice to contractors, dealers, and project owners right across three countries. Viet Garden works hard to ensure the success of all of its partners – from the dealers, contractors and through to the end-user customers. Viet Garden provides a wide range of technical support programs; education and training; and business development initiatives. In addition, Viet Garden constantly coordinates customer feedback sessions through both its own company and also via respected industry associations and facilitators around INDOCHINA. This kind of communication is vital to our ongoing success. Quality products, complemented by an outstanding level of customer support, are at the cornerstone of any company that plans on enjoying a solid customer reputation for years to come. Viet Garden has long been known for delivering the industry’s highest levels of: quality; durability; ease of installation; and after sales service. These attributes have enabled Viet Garden to be recognized as a leader in the irrigation field resulting in some of the lowest warranty costs and callbacks in the industry. A Winning Corporate Strategy: Focus on INDOCHINA. From the beginning, Viet Garden’s corporate strategy has been to focus predominantly on providing the highest levels of value and service to the irrigation professional. A key result of this focus has resulted in the establishment of professional contractor network spanning all Vietnam, Laos and Cambodia. These combined strategies and focus means a Viet Garden customer knows they are getting a professional cost effective investment ! 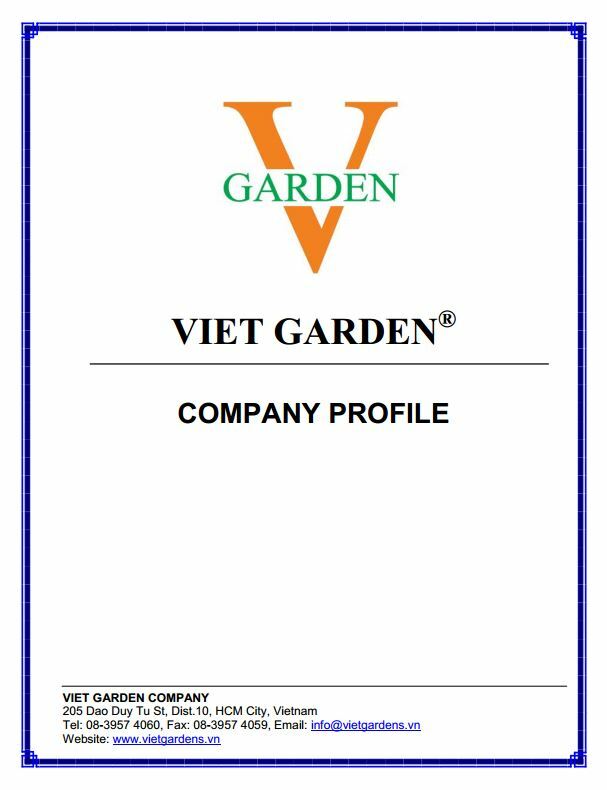 More information about Viet Garden: Business licence, certificates, management profile, irrigation projects.